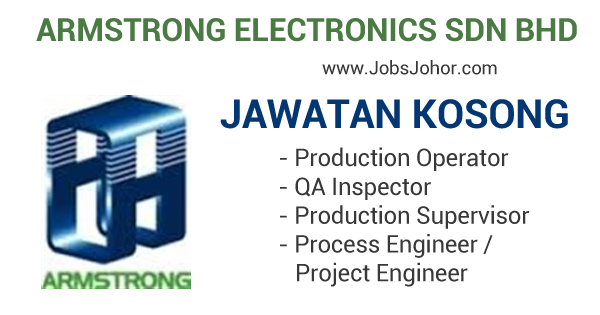 JAWATAN KOSONG ARMSTRONG ELECTRONICS SDN BHD 2016 TERKINI. ARMSTRONG ELECTRONICS kembali membuka peluang pekerjaan untuk kekosongan jawatan seperti dibawah ini dengan penempatan kerja di Kulaijaya, Johor. - Candidate must possess at least PMR/ SPM. - Fresh graduate are encourage to apply. - Candidate must possess at least SPM. - Experience in the related field is required for this position. - Responsible for daily production, quality targets and shipment arrangement. - Ensure the quality control of the product to comply with stipulated specification. - Manage and lead a team of operators towards achieving manufacturing objective. - At least 2-3 years working experience in rubber manufacturing industry. - To work closely with the sales to design and develop products that satisfy the customers’ needs. - To verify new product specifications and work with customers on manufacturability requirements. - Develop QRF for new product based on new developed processes. - To co-ordinate with the production in the evaluation of new product start-up involving First Article activities. - To establish process and product requirements and perform feasibility studies on the new project/ part in question. - To fabricate and test run of production moulds and jigs/ fixtures before handover to production for mass production. - To initiate plans for product developments and trial runs. manage improvement projects to meet cost. time and qualify target. - To maintain and control all engineering products documents. - Candidate require to support regional roles in both Thailand and China plant. - To provide regional support and training when required. - Hands-on experience in rubber/ moulding/ hard disk drive industry is an added advantages. 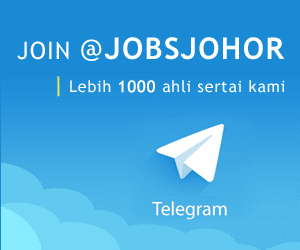 - Applicants must be willing to work in l-Park, Kulaijaya. - Preferably Junior/ Senior Executives specializing in Engineering- Mechanical/ Automotive or equivalent. 81000 Bandar Indahpura, Kulaijaya, Johor.